Lohagad Fort is one of the twin fort that stands side by side. The other fort is Visapur fort. I visited this fort in Feb 2014. Lohagad fort is of easy grade as the condition stairs to the top is good. The vehicle reaches till the base of the fort where the stairs start after walking a bit on flat muddy area. While if you wish to have some adventure Visapur is where you should set your target. Best Option always has been private vehicle which you can take it till Bhaje Village where you have an option to pay and park. If this is not in your options lost you can also reach the fort by Local Train. Travelling from Pune you can take Lonavala Local and get down a stop before Lonavala Malavli Station. Generally people start from this station which is about 4 kms but you can also take rickshaws from here. 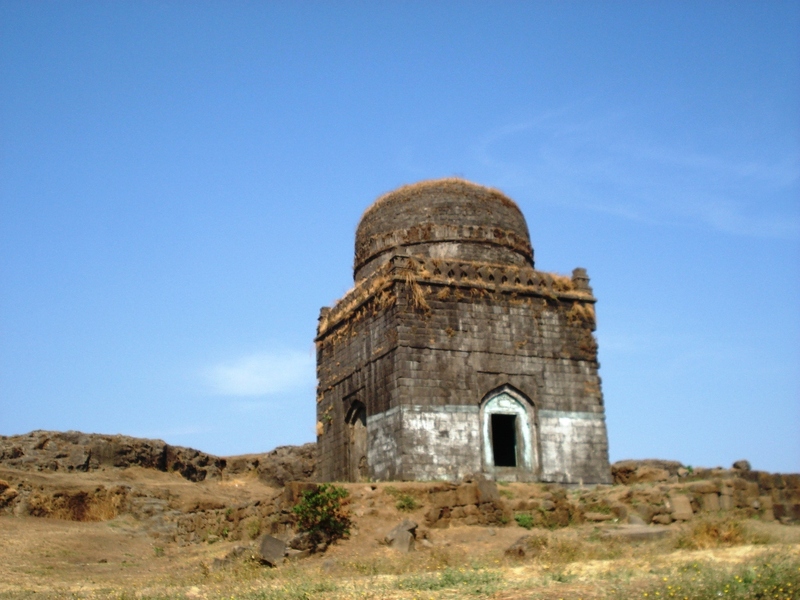 Lohagad is one of the most visited forts in Maharashtra. Lohagad trek is very popular especially during monsoons . We went on bikes from Pune, taking Pune – Mumbai old highway. Take a turn opposite to the road to Karla Caves. Continue to the Malavli Station after which you cross Expressway where we took halt to take snaps. There is a provision to park your vehicles and you can easily wander about on the top of the fort. From the fort you can have majestic view of Visapur Fort, big water body of Pavana Dam and other forts such as Tikona Fort, Tung Fort. The original fort was built in the 12th Century by Raja Bhoj. Later on it was brought into swaraj by Chatrapati Shivaji Maharaj. The steps to the fort were rebuilt during his time. The location of the fort had strategic significance because travelers/traders from the deccan plateau used this route to travel to kalyan. The fort has multiple levels of fortification. Interestingly most of the fortification is still intact and in good shape. There are a couple of caves in between, which ideally must have been used as store house. Like most other forts on the sahyadri, you will find large number of monkeys over here. They follow us if we carry foodstuff in our hand. It took around 30-40 mins for us to reach the top of the fort. On the top, there is a small dargah just in front of the entrance.